Thank you Lesley. The beauty of photography is, it is often derived from the eye of imagination. Would love to see your B&W when you take it. Happy shooting! Outstanding composition and conversion! Congratulations! Congratulations on your Contest Finalist win in Monthly Pro Vol 14 Photo Contest ! 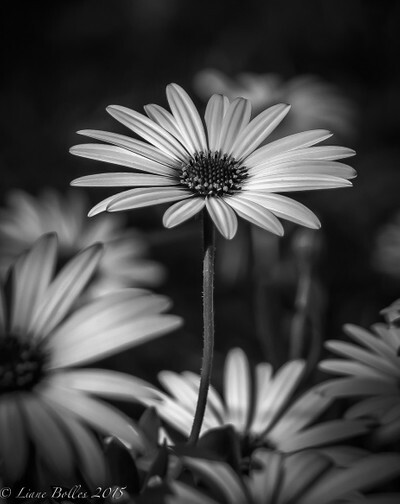 I love black and white photography but have never liked flowers in in B&W. I must say, you have changed my mind about that with this photograph. SO beautiful, and such a great job. It is a winner in my eyes. Congrats on being a finalist, this is my favourite in the Details in B&W contest. Congrats on a lovely image. Beautiful shot! I like it a lot!